Trading options requires three strategic choices: deciding which direction you think a stock will move, how high or low the price will go and the time frame it will all take place. Options trading can be complex, even more so than stock trading. When you buy a stock, you decide how many shares you want, and your broker fills the order at the prevailing market price or at a limit price. Trading options not only requires some of these elements, but also many others, including a more extensive process for opening an account. Before you can even get started you have to clear a few hurdles. Because of the amount of capital required and the complexity of predicting multiple moving parts, brokers need to know a bit more about a potential investor before awarding them a permission slip to start trading options. Brokerage firms screen potential options traders to assess their trading experience, their understanding of the risks in options and their financial preparedness. Based on your answers, the broker assigns you an initial trading level (typically 1 to 4, though a fifth level is becoming more common) that is your key to placing certain types of options trades. Screening should go both ways. The broker you choose to trade options with is your most important investing partner. 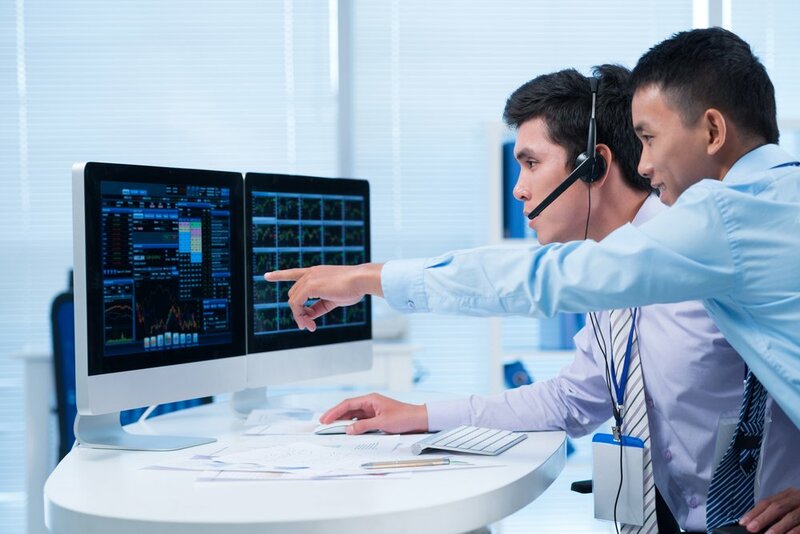 Finding the broker that offers the tools, research, guidance and support you need is especially important for investors who are new to options trading. Alternatively, answer a few questions below and get a recommendation of which brokers are best for you. Decide which direction you think the stock is going to move. Predict how high or low the stock price will move from its current price. Determine the time frame during which the stock is likely to move. » Having second thoughts? Consider trading stocks instead and explore NerdWallet’s picks for the best brokers. This determines what type of options contract you take on. If you think the price of a stock will rise, you’ll buy a call option. A call option is a contract that gives you the right, but not the obligation, to buy a stock at a predetermined price (called the strike price) within a certain time period. If you think the price of a stock will decline, you’ll buy a put option. A put option gives you the right, but not the obligation, to sell shares at a stated price before the contract expires. An option remains valuable only if the stock price closes the option’s expiration period “in the money.” That means either above or below the strike price. (For call options, it’s above the strike; for put options, it’s below the strike.) You’ll want to buy an option with a strike price that reflects where you predict the stock will be during the option’s lifetime. For example, if you believe the share price of a company currently trading for $100 is going to rise to $120 by some future date, you’d buy a call option with a strike price less than $120 (ideally a strike price no higher than $120 minus the cost of the option, so that the option remains profitable at $120). If the stock does indeed rise above the strike price, your option is in the money. Similarly, if you believe the company’s share price is going to dip to $80, you’d buy a put option (giving you the right to sell shares) with a strike price above $80 (ideally a strike price no lower than $80 plus the cost of the option, so that the option remains profitable at $80). If the stock drops below the strike price, your option is in the money. You can’t choose just any strike price. Option quotes, technically called option chains, contain a range of available strike prices. The increments between strike prices are standardized across the industry — for example, $1, $2.50, $5, $10 — and are based on the stock price. The price you pay for an option, called the premium, has two components: intrinsic value and time value. Intrinsic value is the difference between the strike price and the share price, if the stock price is above the strike. Time value is whatever is left, and factors in how volatile the stock is, the time to expiration and interest rates, among other elements. For example, suppose you have a $100 call option while the stock costs $110. Let’s assume the option’s premium is $15. The intrinsic value is $10 ($110 minus $100), while time value is $5. This leads us to the final choice you need to make before buying an options contract. Every options contract has an expiration date that indicates the last day you can exercise the option. Here, too, you can’t just pull a date out of thin air. Your choices are limited to the ones offered when you call up an option chain. Expiration dates can range from days to months to years. Daily and weekly options tend to be the riskiest and are reserved for seasoned option traders. For long-term investors, monthly and yearly expiration dates are preferable. Longer expirations give the stock more time to move and time for your investment thesis to play out. A longer expiration is also useful because the option can retain time value, even if the stock trades below the strike price. An option’s time value decays as expiration approaches, and options buyers don’t want to watch their purchased options decline in value, potentially expiring worthless if the stock finishes below the strike price. If a trade has gone against them, they can usually still sell any time value remaining on the option — and this is more likely if the option contract is longer.